This is our discussion about the 8th episode of Season 1 of The Wire: “Lessons.” As I mentioned in the last discussion post, in the coming weeks we will be live streaming these discussions for anyone to join from the wire106 course and beyond. And given the reflective work I am starting to see from the UMW students I can’t wait! 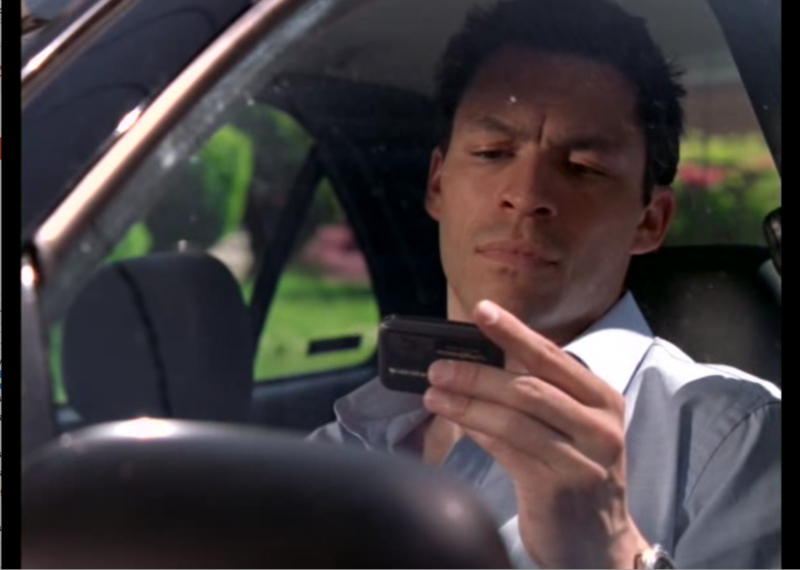 This scene with McNulty and his kids seems to parallel the scene between Wallace and one of his kids. The kids struggles with a math problem and figuring out how to do it in his head, but the minute Wallace phrases it as a drug dealing problem instead of passengers on a bus, the kid can solve it in his head. When Wallace asks why that is, the kid explains that the consequences for getting the drug dealing math wrong are much more serious than getting a math problem wrong. Just as McNulty’s kids enjoy playing the spy game, Wallace’s kid has an understanding of drug dealing and takes the matter seriously. The parallel between these two lessons is an excellent read, and it suggests how much we are defined by our context. We can also see the theme of lessons repeat throughout the episodes in relationship to education. 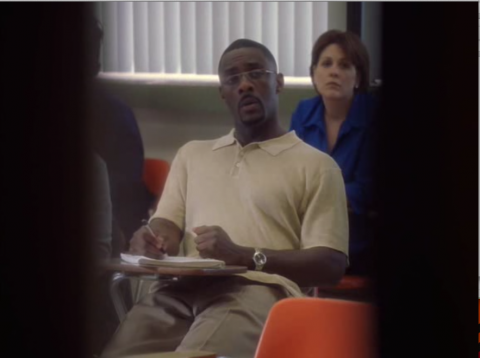 Stringer Bell attends a local community college to learn about macro-economics, while Herc and Carver are preparing for the sergeant’s exam. The following two screenshots mark the transition from Stringer Bell in class to Carver and Herc taking their exam, reinforcing the parallels between these two worlds. Paul Bond offers more visual and aural readings of this episode, so don’t miss that either. 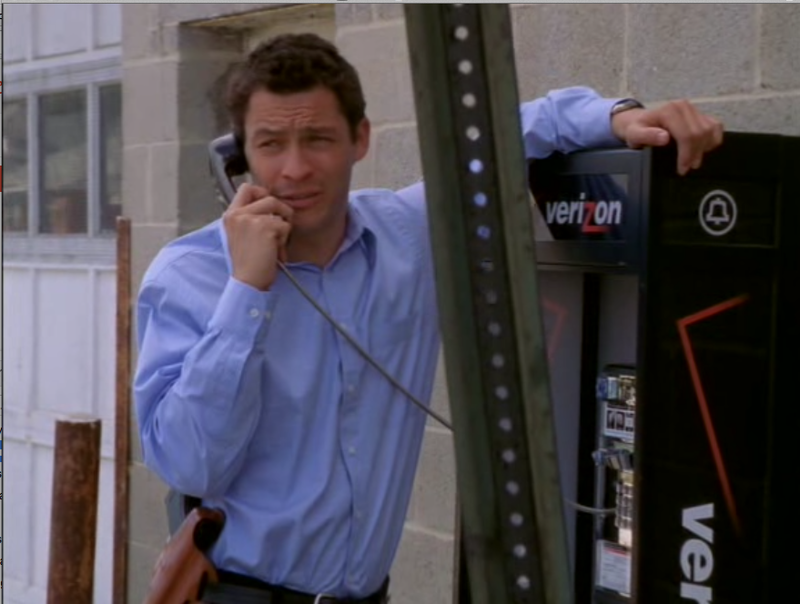 Also, as Brittany notes in her week 1 summary blog post, this is the episode wherein Omar and the Barksdale are in full-on Sergio Leone mode. Omar says, “You come at the king, you best not miss.” Interesting because Avon was the king but now Omar is saying he is the king. 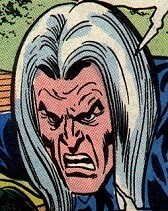 He said this after he injured one and killed one of Avon’s men. Interestingly enough, this epigraph foreshadows how episode nine is going to end for Omar. Man, this show is good!